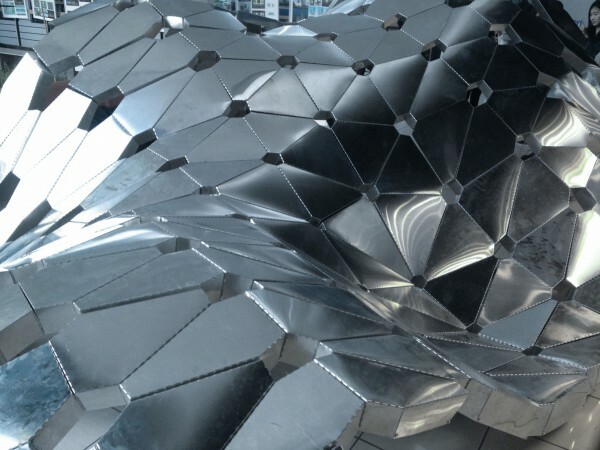 Frsh is a pavilion built by the Architectural Association Beijing Visiting School. Tutored by Rolando Rodriguez-Leal of Aidia Studio and Christoph Klemmt of Orproject, 10 students designed and manufactured the installation within the 9 day course which was held at Tsinghua University in Beijing. 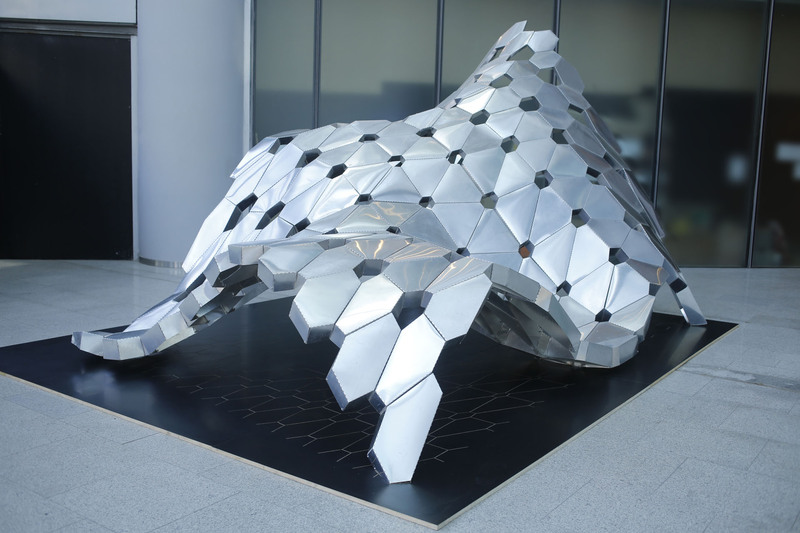 The geometry of the surface was generated using digital, force-based analysis simulations, which resulted in compression and tension based morphologies. 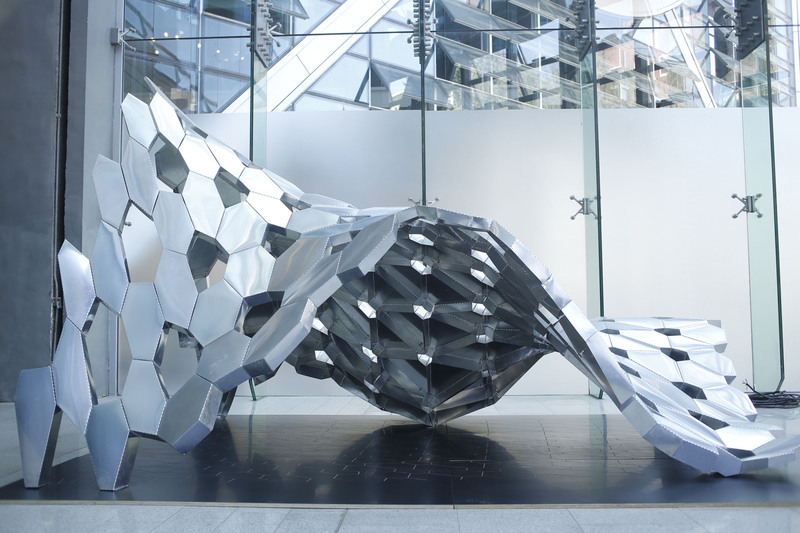 The surface itself becomes the structural system, which at the same time mediates the programmatic and spatial requirements of its surroundings. Each group of students designed large scale landscape and building proposals during the course of the workshop, and the installation was developed as a prototype for a possible construction system of the proposals. 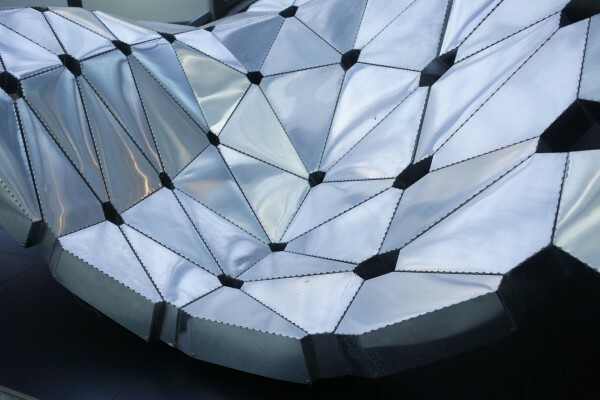 Already the digital simulation used a tessellated geometry for its calculation, and this was further refined to create a paneling system for a simple manufacturing and assembly. Although the surface is double-curved in itself, each of its hexagonal components is perfectly flat and laser cut out of aluminium sheets. Openings of varying sizes allow for a differentiation of dark and light spaces. 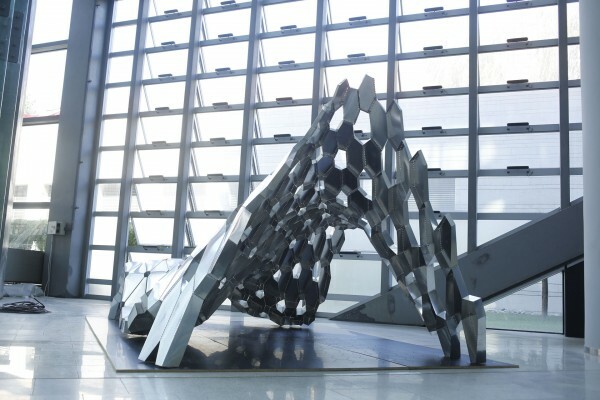 The integrated flanges could be folded by hand, stiffening the structure and forming the connecting points between components. The assembly itself took the group a mere 10 hours. Like a magic carpet Frsh is hovering in space, creating volumes underneath it and a continuously floating landscape above.